For the first time, this paper discloses the use of flowing water for capturing atmospheric ions into a DC electricity. The proposed methodology can be employed to neutralize the positively charged pollutants in air, which are believed to be harmful to our health. 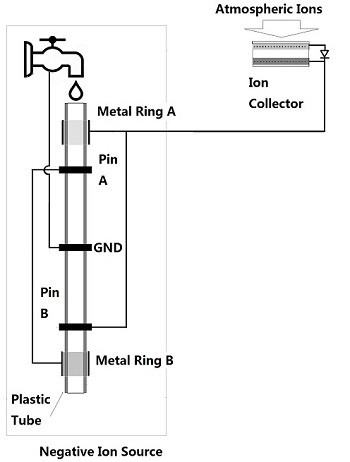 Methodology: Atmospheric ions can be collected by a negatively charged antenna which comprises a dielectric layer sandwiched between a top aluminium layer and a bottom lead plate. The top aluminium layer is used to collect the ambient protons, whilst the bottom lead plate is negatively charged by a negative static electricity extracted from flowing water. The voltage has been measured between the top aluminium layer and the bottom lead plate with and without any sunlight. Results: Without any UV light or other electromagnetic disturbance, the generated voltage has rapidly increased from 200 mV to 480 mV within 5 seconds if the bottom lead plate is connected to the negative ion source. Without the negative ion source, however, the output voltage fell to around 10 mV and any significant voltage rise can be observed even in the presence of an UV light. Conclusions: Capturing atmospheric ions is technically feasible. Measured results suggest that, when used in conjunction with a negative ion source, the proposed device can harvest atmospheric ions without any UV light. Louis WY LIU graduated from University of Leeds, UK with a PhD awarded in the field of micromachined mixers for submillimeter wave applications. He is currently a researcher in Electrical and Electronics Engineering Department of Southern Univeristy of Science and Technology. His research interests include energy science, nanotechnology and surface electromagnetic waves. K. Sheikh, “New concentrating solar tower is worth its salt with 24/7 power,” Scientific American, 2016. D. Biello, “How to use solar energy at night,” https://www.scientificamerican.com/article/how-to-use-solar-energy-at-night/, 2009. H. V. Cane and D. Lario, “An introduction to CMEs and energetic particles,” Space Science Review, vol. 123, no. 1, pp. 45-56, 2006. L. Liu and P. Solis, “The speed and lifetime of cosmic ray muons,” MIT Undergraduate, 2010. N. Tesla, “The eternal source of energy of the universe, origin and intensity of cosmic rays,” New York, 1932. 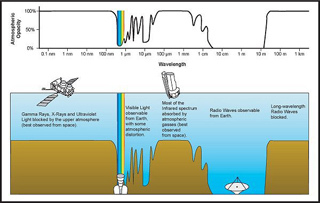 P. I. Y. Velinov, S. Asenovski, K. Kudela, J. Lastovicka, L. Mateev, A. Mishev, and P. Tonev, “Impact of cosmic rays and solar energetic particles on the Earth's ionosphere and atmosphere,” Journal of Space Weather and Space Climate, vol. 3, 2013. N. Tesla, Method of utilizing radiant energy, U.S. Patent, 685,958, Nov. 25, 1901. H. Plauson, Conversion of atmospheric electric energy, U.S. Patent, 1540998, Jun. 9, 1925. H. Plauson, Improvement in electric motors, British Patent, 157,262, Jul. 10, 1922. H. Plauson, Process and apparatus for converting static atmospheric energy into dynamic electrical energy of any suitable high periodicity, British Patent, 157,263, Jul. 10, 1922. W. I. Pennock, Apparatus for collecting atmospheric electricity, U.S. Patent, 911,260, Feb. 2, 1909. L. G. Smith, Ionospheric battery, U.S. Patent, 3,205,381, Sep. 7, 1965. T. Yuki, Method and apparatus for capturing an electrical potential generated by a moving air mass, U.S. Patent, 533,237, Jan. 15, 1985. G. F. Knoll, Radiation detection and measurement, 4th ed. Wiley, 2010. A. I. Smolyakov, “Resonant modes and resonant transmission in multi-layer structures,” Progress In Electromagnetics Research, vol. 107, pp. 293-314, 2010. V. Perez, D. D. Alexander, W. H. Bailey, “Air ions and mood outcomes: a review and meta-analysis”, BMC Psychiatry, vol. 13, no. 1, p. 29, 2013. R. A. Baron, G. W. Russel, and R. L. Arms, “Negative ions and behavior: impact on mood, memory, and aggression among type A and type B persons,” Journal of Personality and Social Psychology, vol. 48, no. 3, pp. 746-754, 1985. S. Wu, F. Deng, J. Huang, H. Wang, M. Shima, X. Wang, Y. Qin, et al., “Blood pressure changes and chemical constituents of particulate air pollution: results from the healthy volunteer natural relocation (HVNR) study,” Environmental Health Perspectives, vol. 121, no. 1, pp. 66-72, 2013. M. Buchvarova and P. I. Y. Velinov, “Empirical model of cosmic ray spectrum in energy interval 1 MeV-100 GeV during 11-year solar cycle,” Advances in Space Research, vol. 45, no. 8, pp. 1026-1034, 2010. R. Sternheimer, “in Fundamental principles and methods of particle detection,” Methods of Experimental Physics, vol. V, A. Nuclear Physics, edited by L.C.L., Yuan, and C. S. Wu, New York, London, Academic Press, 1961.
characteristic pion-decay signature in supernova remnants”, Science Magazine, vol. 339, p. 807, 2013. D. Loomis, W. Huang, and G. Chen, “The international agency for research on cancer (IARC) evaluation of the carcinogenicity of outdoor air pollution: focus on China,” Chin J Cancer, vol. 33, no. 4, pp. 189-196, 2014. K. Sakakibara, “Influence of negative ions on drivers,” R & D Review of Toyota CRDL, vol. 37, no. 1, 2002. L. Liu, “Harvesting Atmospheric Ions Using Surface Electromagnetic Wave Technologies”, AITI, vol. 2, no. 4, pp. 99-104, May 2017.